Alter The Press! : Simple Plan New Album Expected To Be Released "Late Summer/Early Fall"
Simple Plan New Album Expected To Be Released "Late Summer/Early Fall"
The wait is (almost) over! 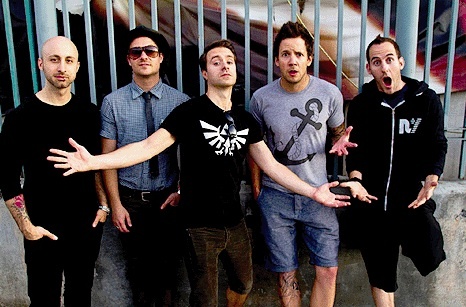 It looks like Simple Plan will be releasing their new album either late summer or early fall! When speaking to Tribute Magazine, drummer Chuck Comeau revealed that despite not having an official release date confirmed yet, they are targeting a late summer/early fall release. "We are still in the studio so we’ve probably got another month left on recording," Chuck said when giving an update about the band's fifth studio album. "I think we will definitely have new music out this summer, that’s for sure, that’s the goal we’ve been working super hard towards. As far as the actual record release, we don’t have an official date yet but I’m thinking end of summer, early fall is our target so we are working every day making sure we can meet that deadline."